This video of our AdvantaSil® Ultra Low Temp Silicone Tubing shows crush and bend testing of this unique silicone tubing by our development team at extremely low temperatures. This video of our AdvantaSil® High Pressure Silicone Tubing shows burst, leak/integrity and vacuum testing of this unique unreinforced tubing by our development team. This video presentation provides a more in-depth look at AdvantaFlex TPE tubing and the advantages of its use in pharmaceutical processing and filling applications, including its sealability and weldability. 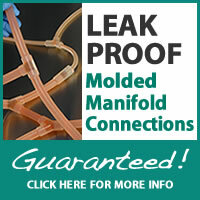 This video offers an overview of the AdvantaFlex TPE tubing product line. It outlines its capabilities as a weldable, sealable, pumpable, and moldable product for the pharmaceutical and bioprocess industries. 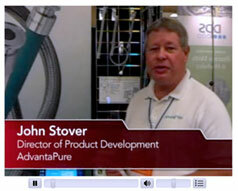 Watch an interview by Pharmamanufacturing.com about single-use systems with our Director of Product Development, John Stover.